San Diego averages 146 sunny days and 117 partly-cloudy days a year, notes Wikipedia. The year-round weather in San Diego, Calif. ranges from 48 to 65 degrees Fahrenheit between December and February, 53 to 68 degrees between March and May, 62 to 77 degrees between June and August, and 54 to 76 degrees between September and November, according to About.com. Evenings in San Diego are cool, especially near the ocean. San Diego is well-known for the marine fog that hovers over its coast for much of the month of June, a term residents of the city refer to as "June Gloom". Surprisingly, this is also San Diego's driest month despite the lack of direct sunlight. Occasionally, the fog lingers into July. 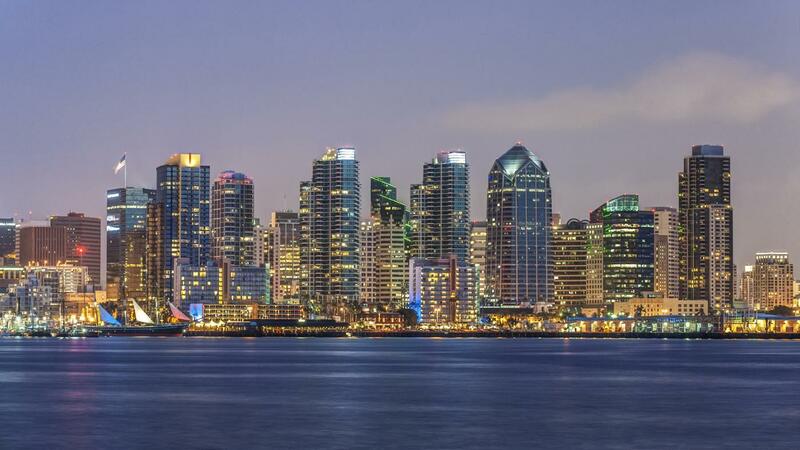 San Diego has a borderline arid climate, which means that it is somewhat dry, and it is subject to droughts. It only receives about 12 inches of rainfall per year. The rain usually falls between November and March. The summer months see almost no rain, except for a few days when subtropical moisture from the North American Monsoon results in increased humidity and thunderstorms. Humidity remains between 63 to 74 percent throughout the year. Wikipedia notes that San Diego sees more tropical storms than any other location in California. Is Arizona a Popular Place to Retire? What Are Some ZIP Codes for San Diego?